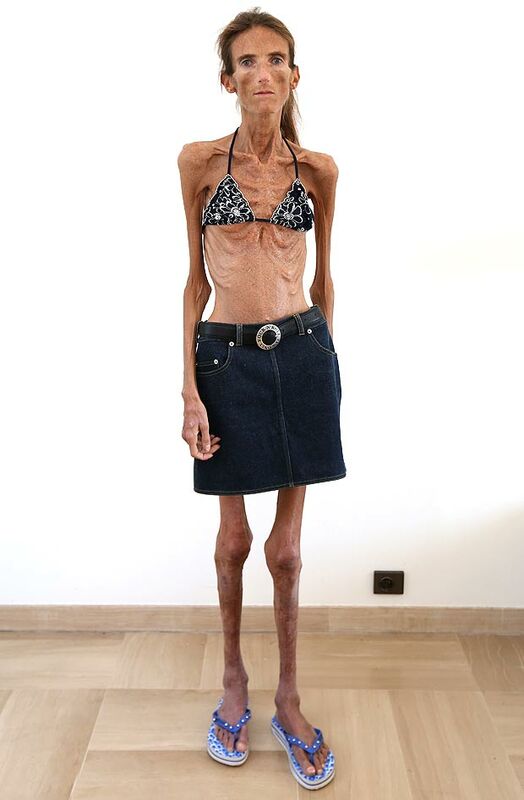 WEIGHING just FOUR stone, extreme anorexic Valeria Levitin is thought to be the thinnest woman in the world. 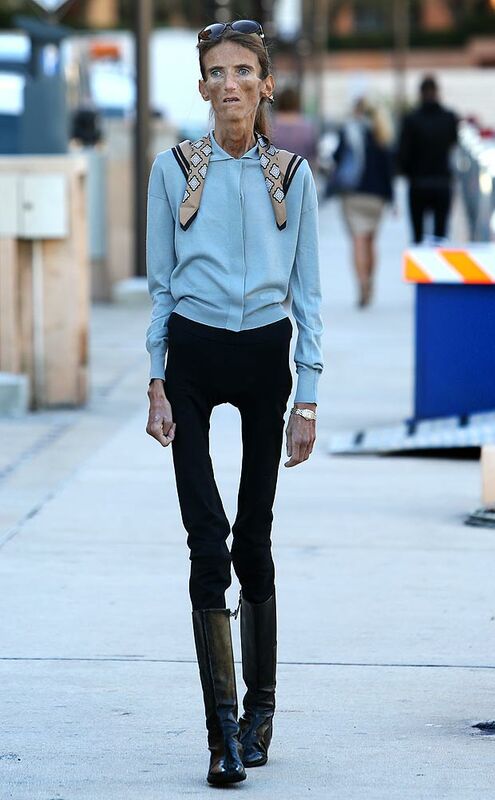 Her malnourished figure and matchstick-thin thighs should serve as a stark warning about the dangers of eating disorders. But worryingly, Valeria says she gets FAN MAIL from girls desperate to copy her skeletal look. The 39-year-old says: “I have received emails from young girls who want me to teach them how to be like me. "All the letters I’ve had are from women, mainly in their twenties, who see me as some kind of inspiration. Valeria, who developed her eating disorder as a teenager, has chosen to speak out about how the illness has ruined her life — and how she is desperate to win her battle in order to have a family. "I want to share my story to help sufferers and their families from repeating my fate,” says Valeria, who is originally from Russia but now lives in Monaco. At 5ft 8in, Valeria’s weight should be between 9st and 12st, according to NHS advice. Instead she is a horrifying 4st 3lbs, less than HALF of what her lightest healthy weight should be. The crippling disorder has taken such a toll on Valeria that she can no longer remember what bread tastes like. Her daily diet now includes only fruit, one small meal of meat and vegetables. Many foods have to be avoided because they don’t agree with her body any more. Valeria has been single for a decade because her illness makes her so miserable. She says: “It’s very hard to be in a relationship when you cannot share the normal things that people do, such as going to restaurants or enjoying life. "People don’t want to be around someone who is not in a good mood or not upbeat. She believes her mother’s criticism of her as a child is partly to blame for her condition. 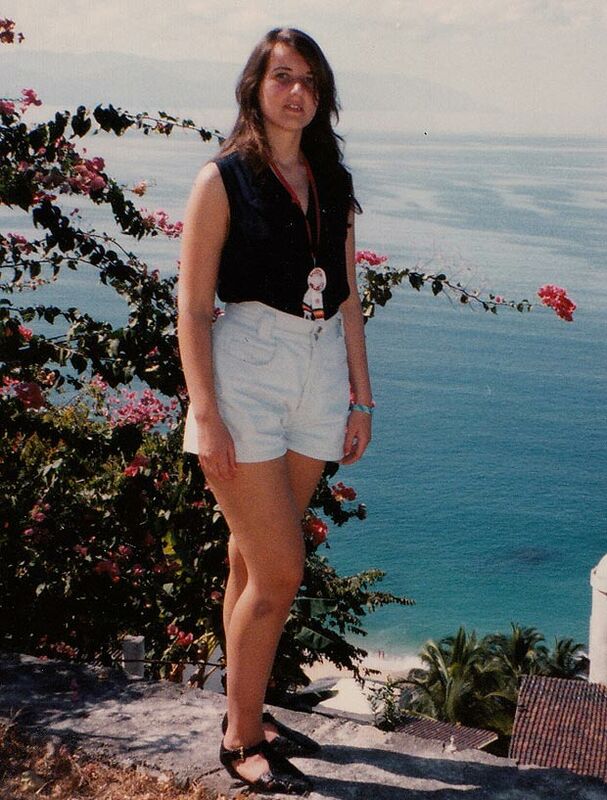 Valeria explains: “My mother was afraid I would grow up obese like my relatives. For that reason she tried to restrict my eating from a very young age. At 16, and weighing 10st, Valeria moved to Chicago, USA, with her mum and stepdad. The move brought even more pressure to be slim. She adds: “The environment was very different. I wanted to be liked by everyone and I thought that if I lost weight, I would be accepted. "I started cutting out certain foods from my diet — I wouldn’t eat sugar or carbohydrates. "I became trapped in a vicious circle where I needed to lose more weight to feel happy with myself. By the time she was 23, Valeria’s dress size had plummeted from a healthy size 12 to a tiny size six. And attempts at getting into modelling only made matters worse — because she was told she was STILL too fat. Though she explains: “But it was my feelings of being an outsider that plagued me most.” Valeria’s passion was ballet and she dreamed of becoming a dancer. But at 24, and weighing just 6st, she was banned from dancing over concerns she would injure herself. For the next ten years she saw more than 30 health specialists, though once dipped to a dangerously low 3st 10lbs. She says now: “This disease is not about being cured by a doctor. "It’s a deeper problem than that, it’s a lack of harmony between body and soul. I never gained any weight seeing specialists. I have never been hospitalised. "The best cure I ever found was when I said to myself, ‘I’m going to recover’. "I was feeling better and when you feel better your body starts to come back to normal. When you become healthier your body will start eating, not vice versa. Today she takes supplements to counter the risk of bruising and avoids situations where she could fall. Now Valeria believes the solution could lie in moving back to Moscow. There is one incentive to get well again — having a baby via a surrogate. It is something she feels she can do if she can get herself healthy. “I think moving back to Moscow would help me once again feel at ease with myself,” she says. "I would love to have a family because I feel I have so much to give. "But obviously it wouldn’t be right to have a baby when I am ill. It wouldn’t be fair on the child. "I want to stand up to anorexia. I’ve never given up on anything in my life and I’m not about to give up now.